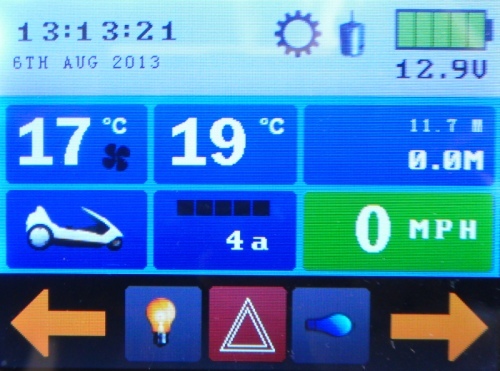 The idea of implementing a Pedelec mode on the Sinclair C5 has interested me for a while. I am trying to implement a very basic Pedelec mode in the C5duino control box project that will only allow the motor to be activated if the C5 driver is peddling. For now I've just used double-sided sticky pads to fix it to the frame with a cable tie to be extra sure. I'll add heatshink tubing to it to help keep it dry later on. The sensor wires are fed along the conduit and into the control box at the back. When the C5duino control box PCB was designed a spare digital input (capable of being configured as an interrupt input) was left available for a 2nd reed switch and this is where we shall connect the sensor. Danny you using rd 2 on the board ? Yup that's right, I knew ages ago I wanted to do a pedelec mode that's why there's 2 connectors for reed switches. 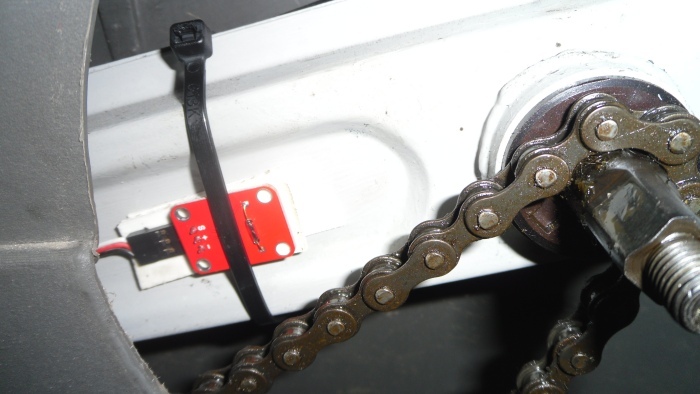 If the handlebar switch is pressed when not pedalling the motor will not work and the new pedal icon will flash Red until you start to pedal. There's also an option to display distance/speed as KMs rather than just miles.